and excitement of its mathematics. 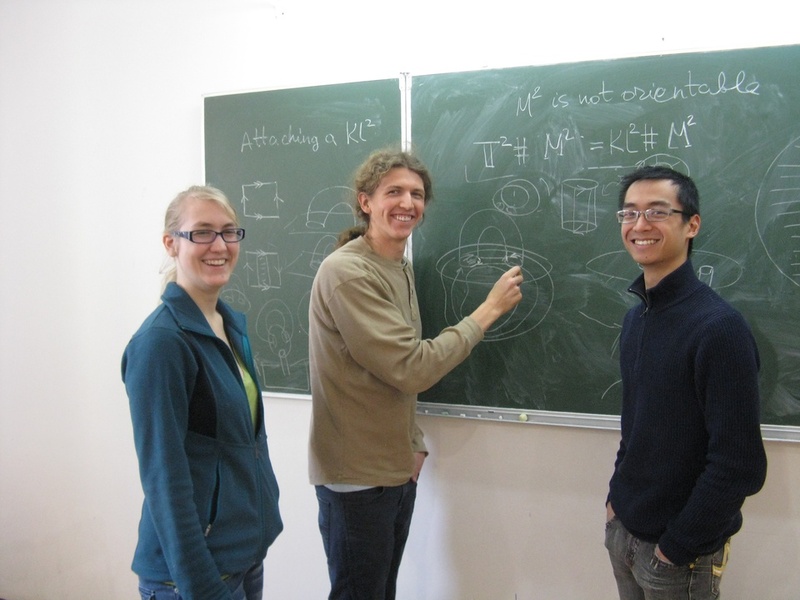 "Moreover, the author would like to express gratitude to the Math in Moscow program. 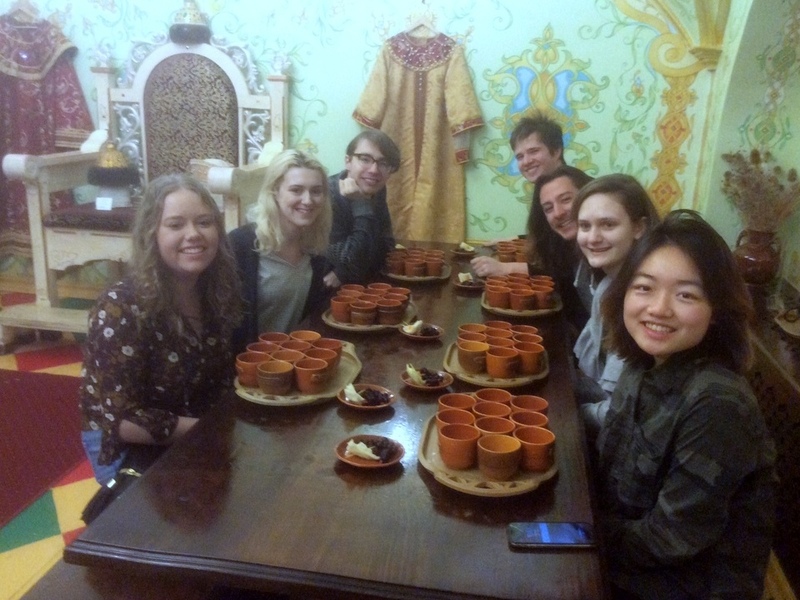 Thanks to the program, the author had the opportunity to familiarize herself with Russian culture, meet enthusiastic professors, and take courses in various fields of mathematics and in Russian language. 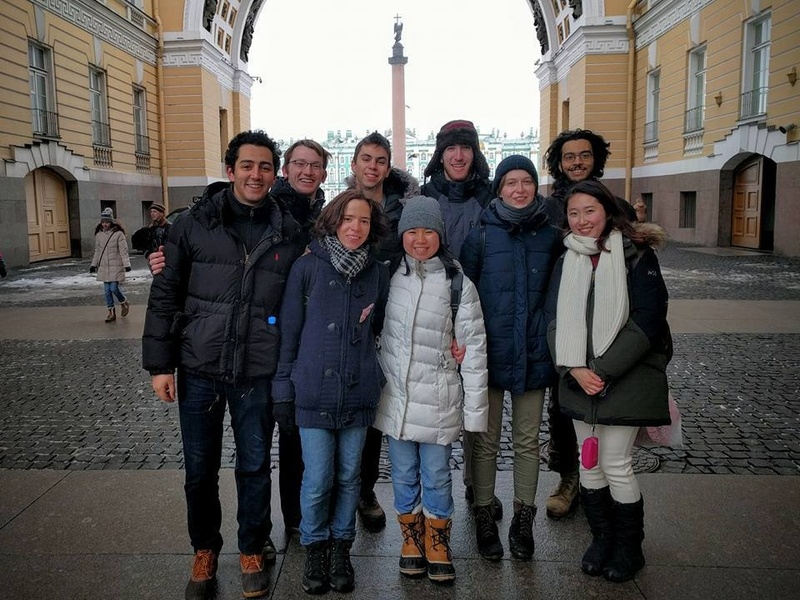 The semester in Moscow is a precious memory" Xingya Wang, Spring 2018 semester, in her article "Classification of Unknotted Ribbons in the Plane and on the Sphere" published in "Mathematical Notes", 2019, Vol.105, No. 1. "MiM brought me together with this diverse group of vivid and talented individuals. And that's the point." Jenette Sellin, Fall 2016 semester. 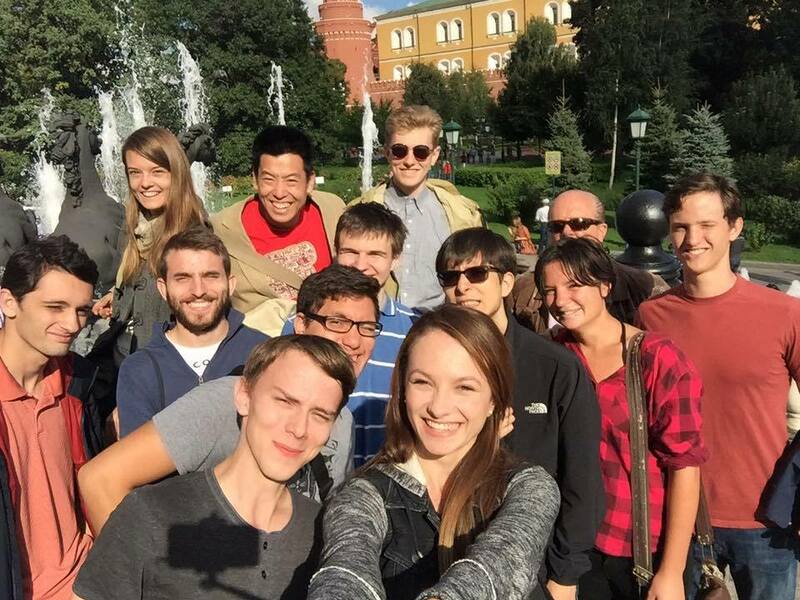 Math in Moscow is a joint project of Independent University of Moscow, National Research University Higher School of Economics and Moscow Center for Continuous Mathematical Education. The program was established in 2001. It focuses on deep, research-oriented teaching of math and individual attention to every student. Please ask our recent alumni about their first hand experience ! You can apply for a semester or a year. Fall 2019 semester applications deadline is March 30. Feel free to contact us for more details.